Zbigniew, Bronisław Łoskot, son of Wincenty and Janina ( Madziar ) Łoskot. •	1940 finished secondary school of J. Zamoyski in Warsaw. •	1940-1944 – private classes by prof. T. Pruszkowski and Z. Kamiński. •	Municipal School of Applied Arts, classes under prof. Mieczyslaw Schultz (wall-painting/fresques), Mieczyslaw Jurgielewicz (stained-glass). •	Underground education during World War II – school of K. Krzyżanowski and of prof. Adam Rychtarski. •	1945-1949 Academy of Fine Arts, Cracow under prof. Zbigniew Pronaszko, graduated in 1954.  During World War II Zbigniew Łoskot was the co-founder of the artistic group publishing covertly a cultural magazine “ART AND NATION” (Sztuka i Naród) of national-catholic profile. Other members of ART AND NATION group include : W. Bojarski – poet, B. Kopczyński – musician, A. Trzebiński – writer, T. Gajcy – poet and others. During WW2 he also participated in the activities of artists and architects group ARKA. Drawing, painting, printmaking, illustration, church interiors (wall – painting /fresques, murals/, mosaics, stained-glass) . •	1943 Chapel of Black Madonna of Częstochowa, in Pallottines church, Warsaw, Skaryszewska street – polychromes not existing now, stained-glasses partly destroyed. •	Church in Wisznice near Parczew – polychrome, concrete bas-relief (with contribution of Z. Tymoszewski). Interior not finished: lack of polychrome at aisle naves. •	Jesuits Church of St.Andrew Bobola, Szczecin – altars, interior-painting, glazed, ceramic bas-relief, baptismal font with ceramic mosaic. •	1980-1981 Church of St. Adalbert, Warsaw – stained-glasses in presbytery;1988 -stained-glasses above choir loft, subsequent windows untill 1996, sgraffito in transept chapels. works in private collections ,musea and Pallottines collections in Paris,Rome (design of cover of the Millennium Bible - gift for Pope Paul VI). •	Reproductions, descriptions, reviews in Polish and foreign press, periodicals such as “Polonia”, “Przegląd Artystyczny” (“Artistic Review”); book “Churches in Poland” -1969; “Commememorative Book” of illustrations for children published for 50th anniversary of NASZA KSIĘGARNIA publishing house; dictionary of Warsaw’s Artists. •	Lectures of history of sacral art at PallottineSeminary(1952-1955).